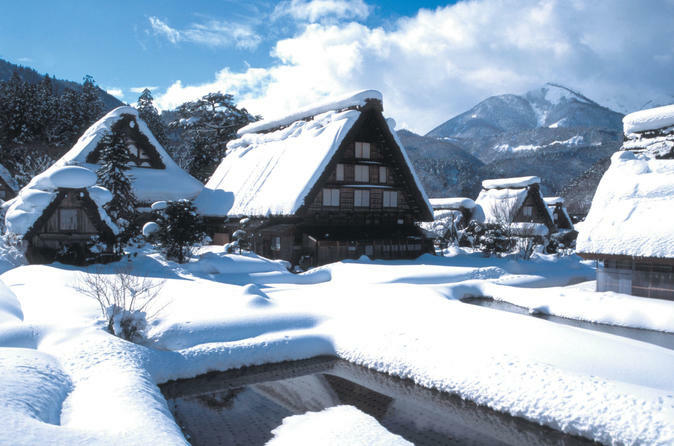 This 2 days and 1 night tour allows you to experience some of the most popular places in central Japan in a short amount of time. The tour leaves from Tokyo and takes you on a flash journey through the old picturesque Japan, through Mt Fuji, Hida Takayama, and Shirakawago, before dropping you off in either Kyoto or Osaka. After a relaxing lunch at Lisa & Gaspard Restaurant in Fuji-Q Highland (12:50-1:40 pm) make a stop at Lake Suwa Observatory, which is the place where the story of the popular animated film "Your Name" ("Kimi no Na wa") was set. The final stop of the day is Takayama (ETA 7:10 pm) where you will be spending the night. Start the day walking around the Takayama Morning Market (Untill 9:25 am), where you can enjoy a wide variety of delicious and creative local specialties, such as freshly squeezed orange juice served in orange peel cups or freshly brewed coffee in cookie cups. From here, head to Shirakawa Village, or Shirakawago (10:20 - 11:40 am). Explore and allow yourself to be fascinated by this World Heritage site with Gassho style houses said to have stood for over 300 years. The village was once considered a wild and unexplored region, with a natural environment that limited the interaction with neighboring areas. This made for unique cultural practices and lifestyle, all which can still be experienced today. Next stop after Shirakawa Village is Kenrokuen Garden (12:50 - 2:10 pm). Enjoy lunch in a scenic location and gaze at what is considered one of the three most beautiful gardens of Japan. Located in Kanazawa Prefecture, next to Kanazawa Castle, the garden spreads across 11.4 acres of land, with a large artificial pond, hills and houses dotted throughout telling the tale of past times. Visit Soba-no-sato for tasting and shopping of Japanese traditional buckwheat noodles (Soba). The final stop is Lake Biwa (Biwako), the largest fresh water lake in Japan, which you will be able to view in all its greatness from the observation deck. At the end of the three day tour, you will be dropped off at either Kyoto Avanti (ETA 6:20 pm), Namba OCAT (ETA 7:20 pm) or Hearton Hotel Nishi-Umeda (ETA 7:40 pm).